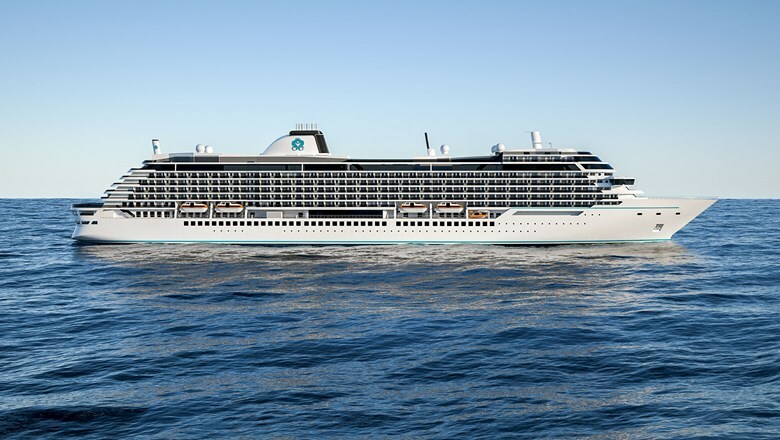 Crystal Cruises released a rendering of what its Diamond-class ships will look like when they arrive, starting in 2022. The luxury ships will measure approximately 67,000 gross tons and accommodate around 800 guests. The rendering shows a white ship with a conventional bow and Crystal’s turquoise seahorses logo on a single exhaust stack. Crystal’s three Diamond-class ships will supplement the current oceangoing ships: the Crystal Symphony and Crystal Serenity. No other details of the Diamond-class ships were revealed.